South Eugene High School, in Eugene, Oregon, was built in 1953. 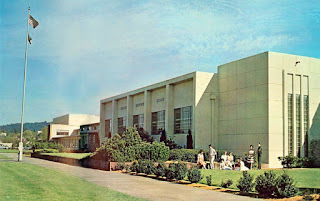 At the time, it was simply known as Eugene High School. It wouldn't be until 1957 that it would be renamed South Eugene High School in response to the new North Eugene High being completed across town. The following year, however, the school would experience a deep and lasting tragedy. 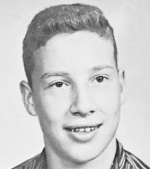 To this day, one of the most prolific and well-known haunts in the Eugene area is that of South Eugene High School and Robert. The hauntings seemingly did not begin until the 1970s when lights started to mysteriously switch themselves on and off throughout the auditorium. Laughter and footsteps, as well as piano music, have been heard coming from the catwalk area. 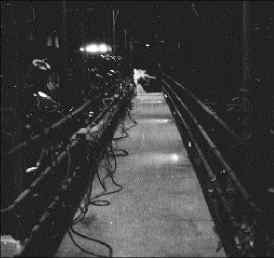 A brochure photo taken by several students is believed to actually SHOW the ghost of Robert and several other people have claimed to see a shadowy figure sitting in the theater's balcony. In one particularly strange incident, during the 1994 remodel when the dented seats were removed, a worker allegedly fell from the ceiling...and onto the exact same seats. He survived with only an injury to his foot. Did the ghost of Robert Grankey cause the accident...or did he play a part in saving the workman from suffering the exact same fate as he did, so many years before?